Special Bicol Express. 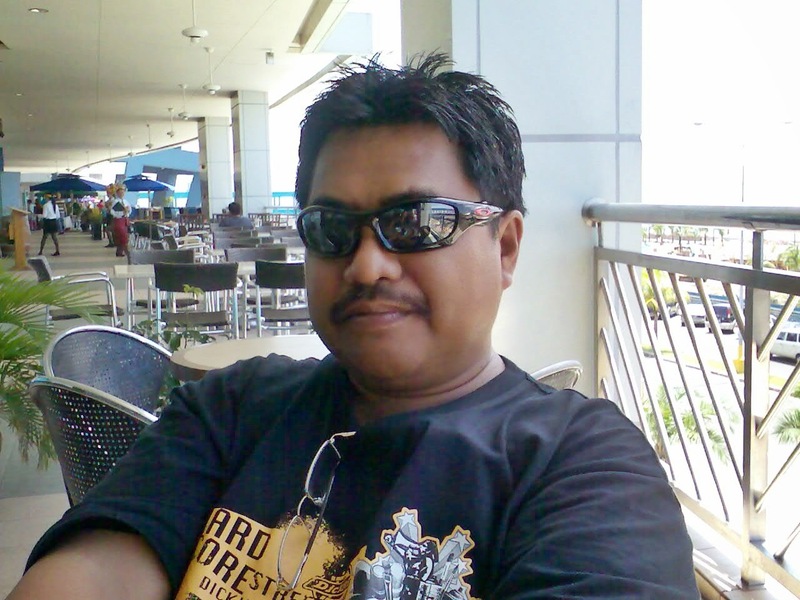 Why special? 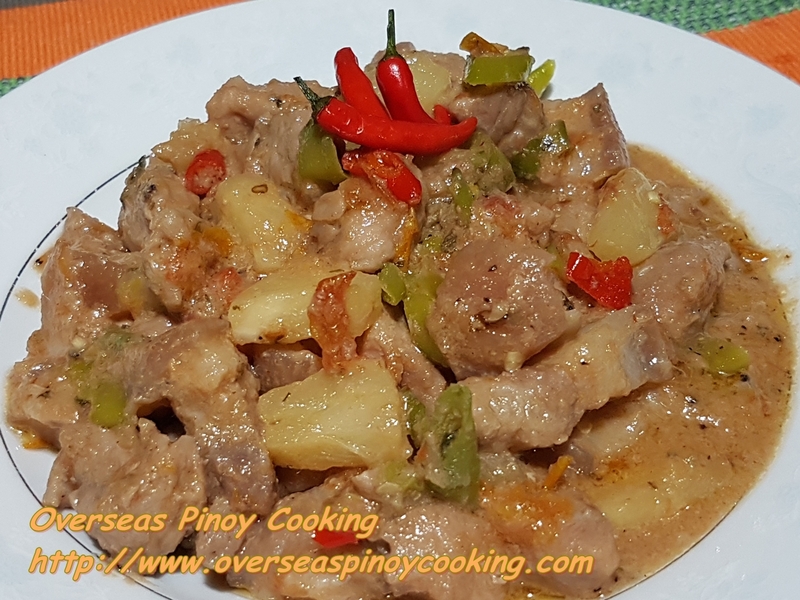 First of all I tweaked my usual Bicol Express recipe to incorporate ingredients that were used on countless Bicol Express dishes that I had, that were cooked by friends, served at parties and restaurants. Special Bicol Express it is, I could not think of any more appropriate and relevant name for this recipe. Below are the tweaks that I have done or add. Chopped Tomatoes - I do not use tomatoes, but I have had Bicol Express cooked with tomatoes from Bicolano colleagues and it was good the sourness of the tomatoes complements with the super spiciness of their Bicol Express. Lemongrass - I did use tanglad a couple of times only, using lemongrass to a dish with bagoong alamang make sense. Lemongrass removes the fishiness of the Bicol Express. 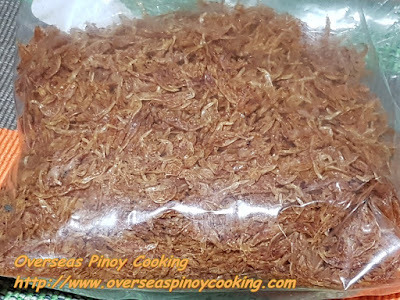 Dried Baby Shrimp/Alamang - I usually used the pre-cooked bottled gisadong alamang, Bicolanos used Balao or Salted Baby Shrimps for their Gulayna Lada or any similar ginataang dish. Bagoong na Alamang is only a substitute. Using bagoong na alamang if you are not careful will destroy the dish. Bottled Alamang comes in unpleasant flavours and some are very pungent. Bottled Alamang also come in artificial red color and are very salty. For the required “shimpness” taste for my Special Bicol Express I used Dried Baby Shrimp/Alamang instead. Now I am sure that all that is there is that wonderful “shrimpness” taste for my Bicol Express. Pineapple Chunks - I have not used it before, my friends believed that the sweetness of the pineapple will tune down the spiciness or heat of the dish. It doesn’t make sense, Bicol Express should be hot spicy. 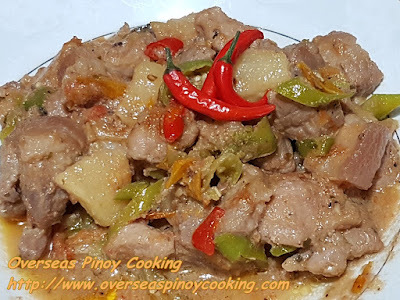 On my opinion, the fruity sweetness of the pineapple compliments the nutty coconut and spicy hot flavours of the Bicol Express. Ginger - Similar to tanglad, I did use luya a couple of times only, using ginger to a dish with bagoong alamang make sense. 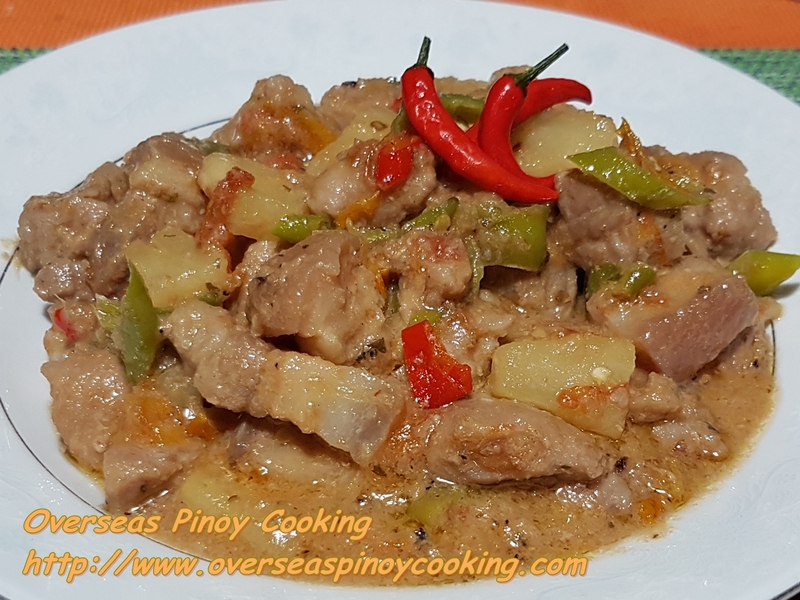 Ginger removes the fishiness of the Bicol Express. 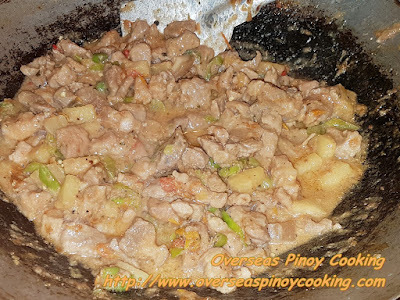 Less Coconut Milk - I usually used a lot of coconut milk on my ginataang dishes believing that the more coconut makes my ginataang dish taste better. Wrong coconut milk should be used just enough to bring out the flavours of the main ingredients, it should not overwhelm the taste of the meat, seafood or vegetables. Below link list are some of the Bicol Express dishes that you may want to check. Using a medium size sauce pan or wok sauté the garlic, ginger, onions, and tomatoes, until fragrant. Add in the pork and continue to stir cook for 5 to 10 minutes. Add in the fish sauce, crushed peppercorns, lemongrass, dried parsely and dried alamang, continue to stir cook for 3 to 5 minutes. Now add 1/2 of the coconut cream, reserved pineapple liquid and about 1 1/2 to 2 cups of water, bring to a boil and simmer for 30 to 45 minutes or until the liquid is reduced to about half. Correct saltines if required. Now add in the chilies, pineapple and remaining coconut cream. Continue to cookr for 10 to 15 minutes, stirring occasionally, or until the liquid has turned into an oily sauce. Serve hot with a lot of rice.